It’s an easy 2.5 hr drive from Seville to the Algarve of Portugal. We paid the extra charge to drop off the Spanish car rental in Portugal. The two countries sit next to each other on the Iberian Peninsula but getting from Seville to Lisbon or the Algarve is really difficult by air or rail, or even boat. We looked into all of them. It was easier to keep the car and pay the extra fee. It was a comfortable drive, sitting in the air conditioning and watching the heat waves through the windshield. It might have been 115° outside but as long as the engine was running we were just fine. Although Portugal is on the Iberian Peninsula, right there next to Spain, the coastline here is definitely different. If the southern coast of Spain looks like southern California, and it does, the southern coast of Portugal looks more like Florida, lots of low brush and tall Pines and Palms. That is until to get to the coastline where the sandstone cliffs make it look like nothing we’ve ever seen before. 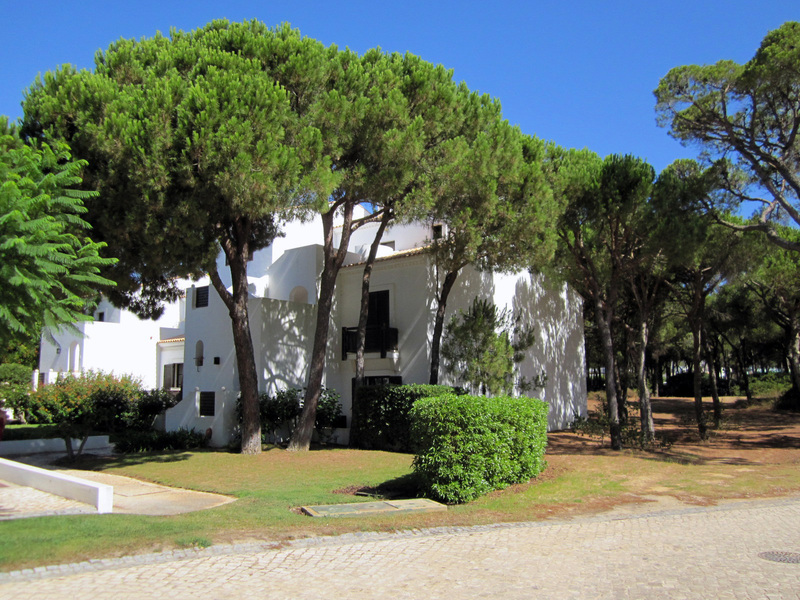 The Algarve is the vacation destination of the Portuguese summer family holiday. The beaches, towns and entertainment parks are packed with families. Anyone who thinks Europeans aren’t reproducing enough children should come to the Algarve in the summertime. The Algarve is not just for the Portuguese though. The British discovered this area a few years back. Spain had been the English vacation spot of choice for years, but Portugal is less expensive and closer. There are beautiful beaches, English Pubs and lots of Indian restaurants. It’s the perfect British holiday. During the expansion of Rome around 200 BC, the Roman Legions thought taking this area would be a cakewalk until they ran into the Lusitani, a local tribe that kept the fight going for over 70 years. By 19 BC, the Romans gained control over what they called Lusitania and reduced the Lusitani to mere legend. Before this trip to Portugal, our only knowledge of Lusitania was the British ocean liner that was torpedoed off the coast of Ireland in 1915 by a German U-boat, the second largest sea disaster (next to the Titanic) in history. In the 16th century, during the “Age of Discoveries”, riches from Africa, India and Indonesia literally flowed into Portugal. The trade routes discovered by Vasco da Gama and Ferdinand Magellan brought unbelievable wealth to the country. The rich were getting richer and trickle down economics was actually working. Everyone was getting a slice of the pie. Well, almost everyone. The poor, as usual, were neglected and abused. Life was good for the Portuguese in the 16th and 17th centuries. Sure, there were a few plagues and the Inquisitions burned over 2000 people and exiled thousands more, but burning the sinners convinced people, god would protect them from earthquakes and plagues. Well that kind of worked until 1755, when the big one hit. Although the Richter scale wasn’t developed till 1935, it’s been estimated that the Lisbon quake hit 9.0 or more. It leveled Lisbon and shook every city to its knees throughout Portugal. 300 miles away in Seville, Spain, the ceramic tiles of the Palace of Carlos V cracked and fell off the walls. Some religious nuts actually thought they hadn’t burned enough people and god was still angry with them for harboring sinners. Luckily (for humanity) the fanatics were overruled. 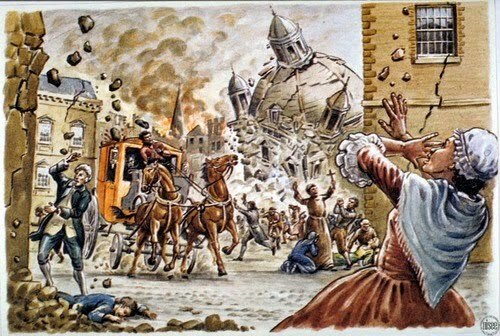 The Inquisitions did finally end, but Portugal never really recovered from the quake. The cities were rebuilt but it took almost all the wealth of the treasuries to do it. Infighting between the Royals got bad and the strain on the colonies to produce more wealth caused even more tension. Then, to finish off a very bad 50 year period, in 1807, Napoleon came. The Portuguese Royal family fled to Brazil. In fact it was so good in Brazil they didn’t want to come back. Royal infighting finally led to the killing of King Carlos in 1908. It didn’t take long after that for the monarchy to crumble. The Republic formed in 1910 didn’t last very long. Portugal went through 45 governments in 16 years. Then, in 1926 Antonio de Oliveira Salazar, the finance minister was elected Prime Minister, a position he turned into a “title for life”. His goon squad the PIDE (Policia Internacional e de Defesa do Estado) kept an iron fist over the people till the 1974 bloodless coup known as the Revolution of the Carnations, after a flower vendor stuck a carnation into the barrel of the solder’s rifle. The concept caught on and rifles sporting carnations starting appearing everywhere across Lisbon. Life under Salazar was ridiculous. Women didn’t have the right to vote in the country till 1974. In fact, a married woman couldn’t get a passport without her husband’s consent until 1969. The educational system was the worst in Europe and the economics were a disaster. The only things allowed under Salazar was Football, Fado and their belief in the miracle of Fatima, the central Portuguese town where children claimed to have seen the Virgin Mary in 1917. It was an easy decision for the military to join the people in the revolution. Salazar suffered a brain hemorrhage in 1968. He died in 1970. He had such a stranglehold on the people it took 4 years before they even knew he was dead. These days Portugal is trying it’s best to catch up to the rest of Europe. High tech and tourism are the big industries. Fishing has always been a major part of the economy but most of the fish is consumed in the country. It still has one of the lowest income rates in Europe. However, the low cost of living here just might be what attracts all the tourists. 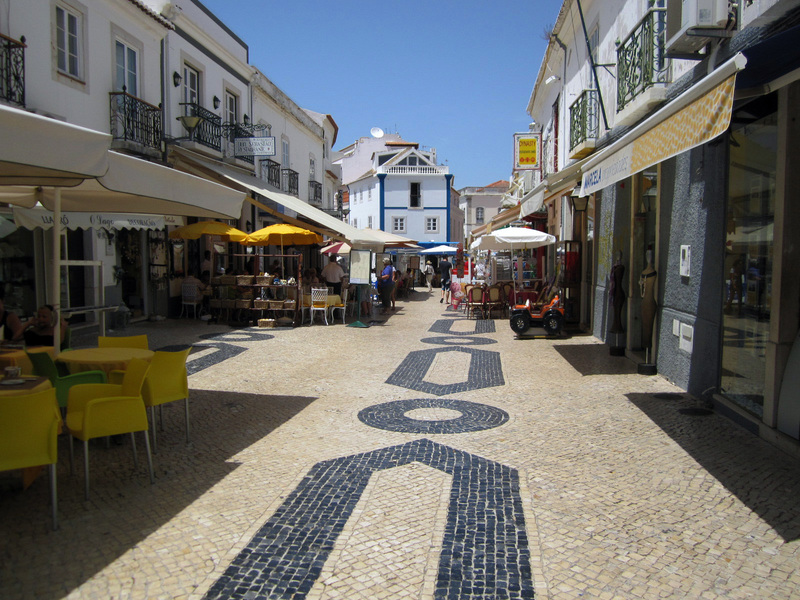 We’re staying near the resort town of Albufiera, one of the more populated tourist towns of the Algarve. Along the national route 125, it’s a giant strip mall with hookers (street prostitutes) hanging out at the traffic roundabouts in the heat of the afternoon. Down on the coastline is a small, crowded pedestrian only old town filled with lots and lots and lots of tourists; families by days, drunks by night. Albufiera has what the locals refers to as “lots of movement”. Pine Cliffs, the community we are at, on the other hand, has very little movement. Our apartment is a privately owned condo run by the Sheraton. 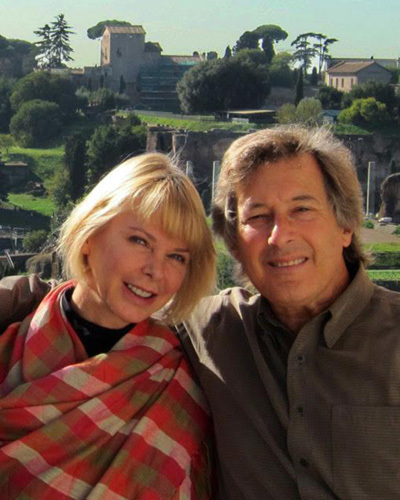 We found it on the Internet through HomeAway.com. It is the first apartment we’ve ever rented in a resort. The place is spacious, well appointment and comfortable. It feels like we’re staying at a hotel but not really in a hotel. We checked in at the front desk, where they gave us our keys and took an imprint of our credit card. Then they gave us hotel information and a Sheraton card that we could use throughout the property for restaurants, activities, beach towels, etc. The apartment has all the features of a condo but it feels like it’s been staged by the Sheraton. The bathroom is fully equiped; soap, shampoo, paper products and towels. The kitchen has plates and flatware and appliances but there are no traces of any food. There isn’t even any salt and pepper in the salt and pepper shakers; no sponge or dish soap, a coffee machine but no coffee filters, a washing machine but no soap powder. When they say self-catering, that’s exactly what they mean. However, there’s a supermercado a short 10-minute walk from here that has everything we need. The Resort gives us access to golf courses, boating, two large swimming pools, a spa and one of the most beautiful beaches we’ve ever seen in our lives. 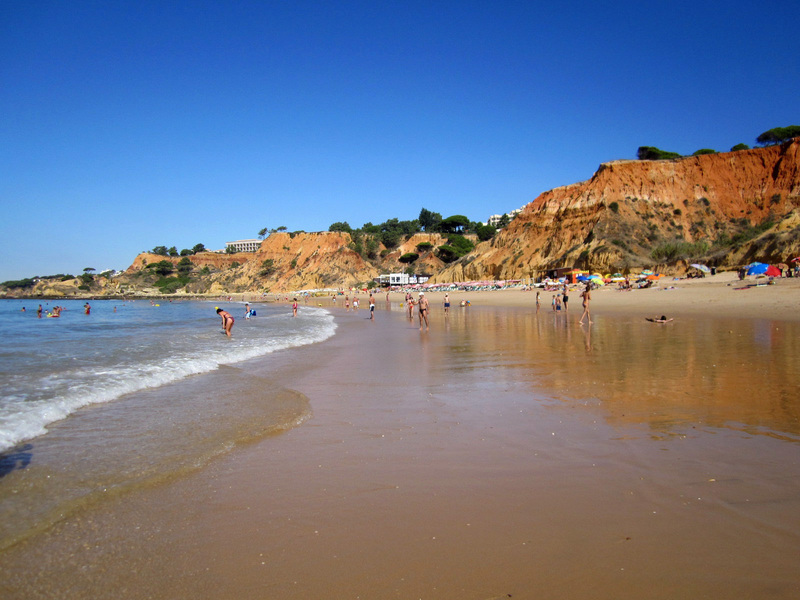 The beach is literally carved out of the red-rust colored sandstone cliffs that embrace the Algarve coastline. 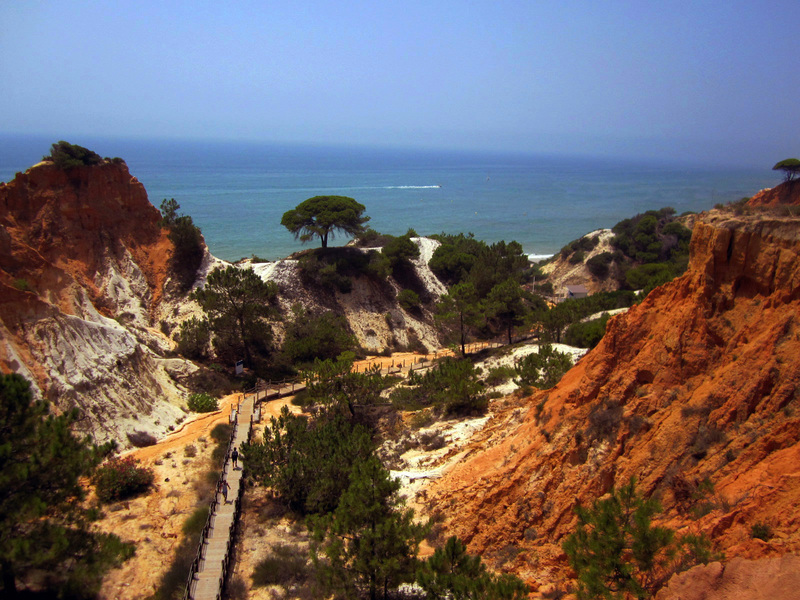 It’s an amazing mixture of red and white sandstone, green pine trees and aquamarine ocean. The big news at the resort is the Michael Bolton concert tomorrow, August 1st. For o per ticket you get a 4 course meal, followed by front seats at the concert, followed by the after concert party. The o cheap seats get you a buffet dinner, tickets to the show and no after dinner party. So muchfor the low cost of living in Portugal. Lagos is one of the most beautiful of the beach towns carved out between the large rust colored sandstone cliffs along the Algarve. The patterned cobblestone streets are lined with small 18th and 19th century brightly painted houses, occasionally covered with (azulejo) ceramic tiles, an old Moorish architectural style adopted by the Portuguese. The small streets are filled with handicrafts, beachwear, restaurants, tapas bars and tourists. 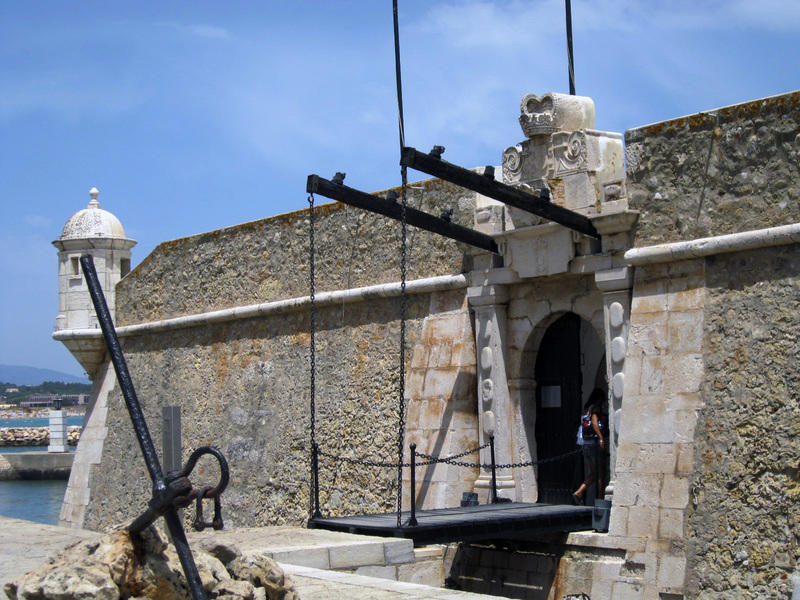 The city has a fortress wall dating back to the Moor occupation, but its main claim to fame came in 1415, when the Infante Enrique (Prince Henry the Navigator) launched a small fleet of small ships towards the coast of North Africa and started what became “The Age of Discoveries”. The trade (and plunder) of Ceuta and other parts of North Africa soon extended out to the Madeira Islands, the Azores and Cape Verde and eventually sailing around Africa. The ships brought back precious metals, jewels, spices and slaves. Yes, unfortunately the trade with Africa also introduced Europe to the slave market, an aberration that lasted until the 19th century. 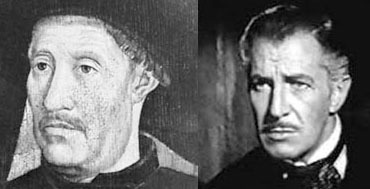 Henry the Navigator, by the way, in my opinion, looks an awful lot like Vincent Price. We walked through Lagos town and stopped for some Portuguese tapas, which are just as delicious as Spanish tapas just with different names. We walked to the marina and over to the Fort da Ponta da Bandiera, a 17th century fort built to protect the town from attacks from the Moors and European privateers/pirates. Lagos was still a big port of entry for trade in the 17th century and ripe pickens for Moorish and English pirates. From Lagos it’s about a 20 minute drive to the hill town of Silves (pronounced Silches), perched on the hills above the coastline along the Rio Ardade river. The town is surrounded by the orange and lemon groves first planted by the Moors back in the 10th century. 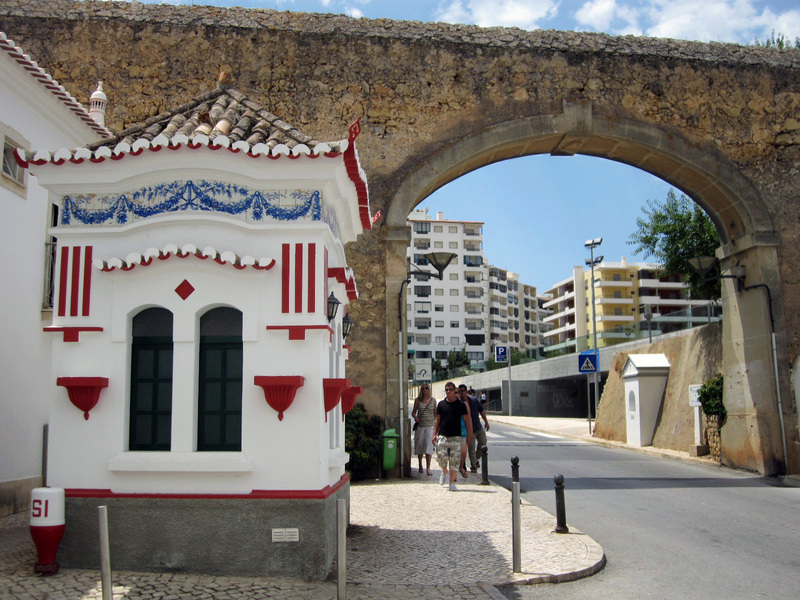 This was once the major city of the Algarve, the capital city. The Moors called it Xelb (Shelb). 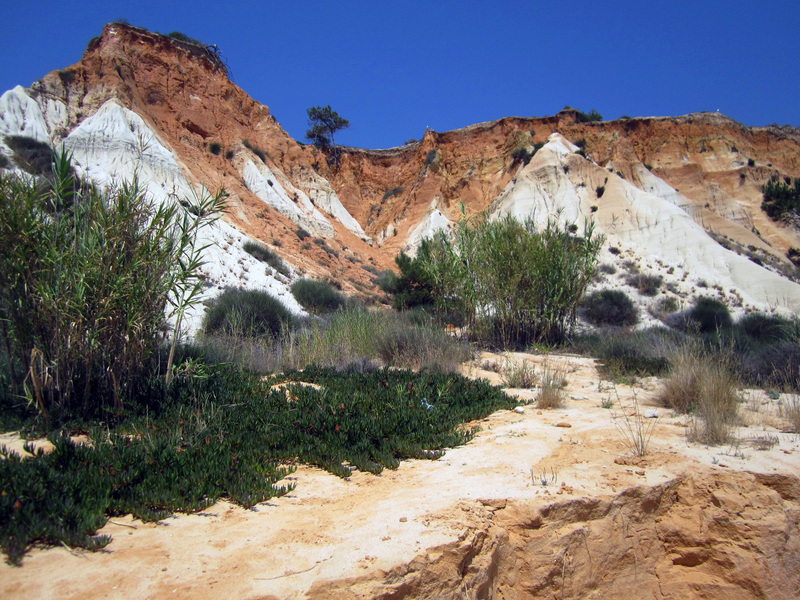 In fact the name Algarve comes from the Moorish word “Al-Gharb” or the west. The original phrase was Al-Gharb Andalus (west of the Spanish Andalusian province). I read that during the 11th century Silves was referred to as the “Bagdad of the West” which I find very strange after seeing cities like Cordoba, but then most of this city fell down durring the 1755 earthquake. The town was taken by the King Sancho I of Portugal in 1189 and then taken back by the Moors soon after. The possession of the city went back and forth for about 50 years until after 1242 it remained under Christian Portugal rule. The castle gate is still guarded by a giant bronze statue of the King Alfonso III (the great grandson of England’s Henry II and Eleanor of Aquitaine) who took it in 1242. His statue is making sure the Moors don’t ever come back. 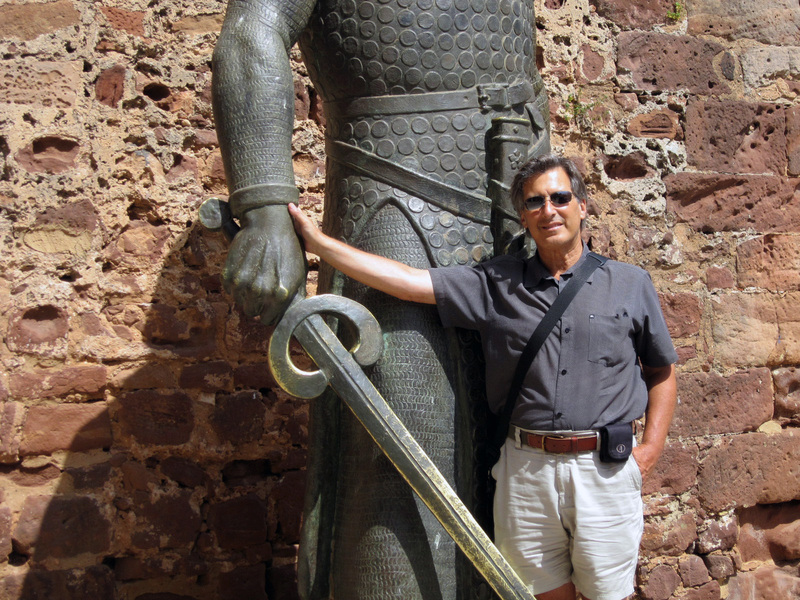 We spent some time in the 11th century (very) red sandstone Moorish castle fortress. It’s a beautiful restoration, complete with an old underground water storage, stone towers and a soundtrack of Arab music that accompanies the walk so you imagine what life was like in the times of the Moor royalty who lived there. Most everything in this town fell down during the 1755 earthquake so most of what we see is late 18th century. The whitewashed houses and cobblestone streets are quaint and charming, but during the hours of 12:30pm till 6pm, they’re all closed down. Nothing happens in these towns during the afternoon between 12:30p and 6pm. 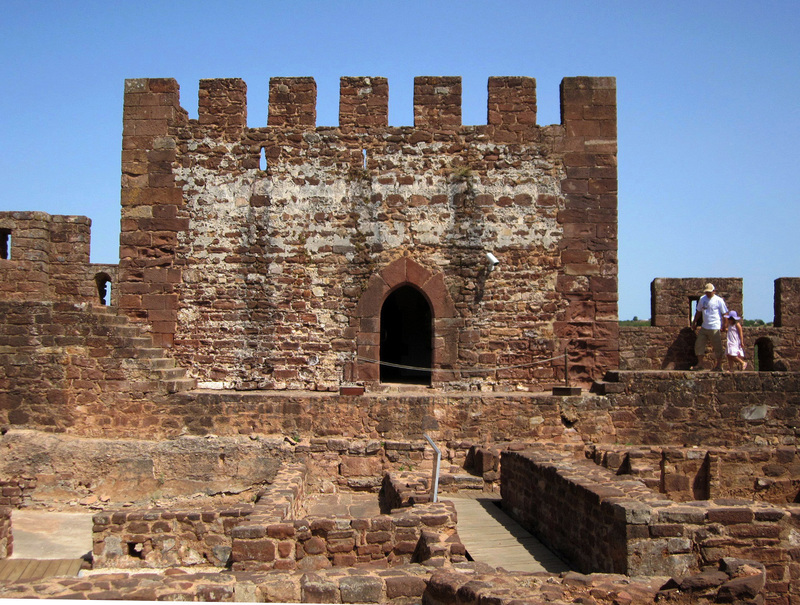 You can visit the Fortress, you can sit at the cafes and restaurants or you can pay to get into the Silves Cathedral. It’s just too hot. There used to be a large cork production here in Silves. Portugal still produces more than 60% of the world’s cork. We have no idea why, but the mill in Silves closed down in the mid 1990s. Now it’s a museum. We spent a lot of time just hanging out and walking along the sandstone beach. It’s a great set up here. We walk to the Sheraton pool, take the lift down to the boardwalk and walk down to the beach. Towels and beach lounge chairs are available to all guests of the Sheraton, although you’ve got to get there early to get a good position. There are lots of restaurants nearby and fresh fish is always on the menu.